" the best application to maintain good communication with your customers"
to have an excellent receptivity on the part of the clients, what makes that we have a more fluid communication, and to do a follow-up that allows that they stay in contact in a social network as visited and popular as it is the facebook since a good amount of customers visit the pages and they like it and then stop visiting it, with this innovative tool we can make our traffic stay alive with good levels of daily visits, as it provides us with the security that a good percentage of customers will see our publications and in this way a good positioning is maintained. The prices of automation on pages with good traffic are a bit expensive, since the plans are monthly, but the benefits increase when we have a pending clientele of what is published daily, the welcome messages are not so innovative, since many programs allow us. however, it is always good to welcome a new member, but perhaps there is a much more creative mechanism for our visitors to subscribe and we can make better use of our content and offers. We can start for free, to understand how it works and how the page is structured, then it is advisable to invest a little and, if it turns out, continue investing so that your brand gets the positioning it needs. the benefits are always in sight when it comes to web traffic, because for a long time before visiting any place always people are documented on the web to have the best knowledge of what we can expect from the place where we have to go both for work and pleasure, and one of the most appropriate tools to capture and make us known today are the sociles networks, since daily traffic is very high everywhere from mobile devices. * We monitor all ChatWhale reviews to prevent fraudulent reviews and keep review quality high. We do not post reviews by company employees or direct competitors. Validated reviews require the user to submit a screenshot of the product containing their user ID, in order to verify a user is an actual user of the product. Hi there! 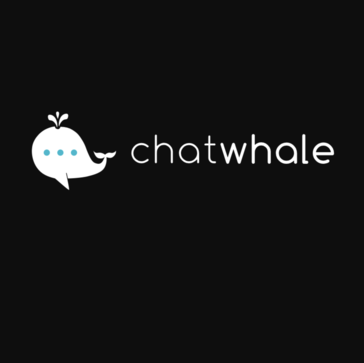 Are you looking to implement a solution like ChatWhale?